The FCC plans to re-examine its cellular phone safety standards -- a set of wireless safety guidelines chiseled out in 1996. The communications agency is expected to discuss its own testing methodologies and guidelines in order to determine if their aging recommendations jibe with research performed since current standards were struck nearly 16 years ago. In a statement issued by spokeswoman Tammy Sun, the FCC reiterated their confidence in existing standards, stressing that current device guidelines pose no risk to consumers. 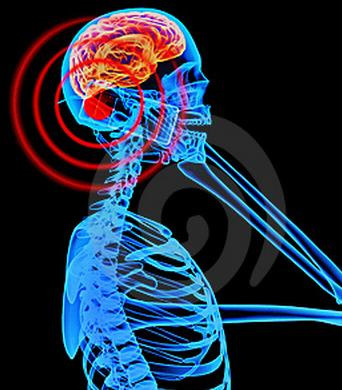 If there's no risk, then why re-evaluate cellular phone radiation standards in the first place? Sun says this is merely a routine review. The FCC also hopes to get other agencies, organizations and the public involved in the process this time around. Currently, one of the key metrics used to determine cell phone safety is specific absorption rate or SAR for short. This measurement is determined by a formula which attempts to quantify the amount of electro-magnetic radiation expected to be absorbed by human tissue. For cell phones, the FCC currently requires that SAR levels not exceed 1.6 watts of energy per kilogram of tissue. However, researcher Henry Lai from University of Washington is surprised that the FCC has retained such a high threshold for SAR allowances. Lai pointed out that, since 1996, there have been at least 60 studies which illustrate biological changes at levels even less intense than current standards. Lai said, "The SAR rating itself is not meaningful," adding, "It is surprising to me that the FDA and FCC have not changed their acceptable limits." Despite Lai's concerns, numerous long-term studies have been unable to link cell phone usage and illness (e.g. cancer). On the other hand though, there have been a number of studies which do.